The Rumparooz One Size Cloth Diaper Cover is designed to grow with your baby, with 4 adjustable rise settings; newborn, small, medium and large. 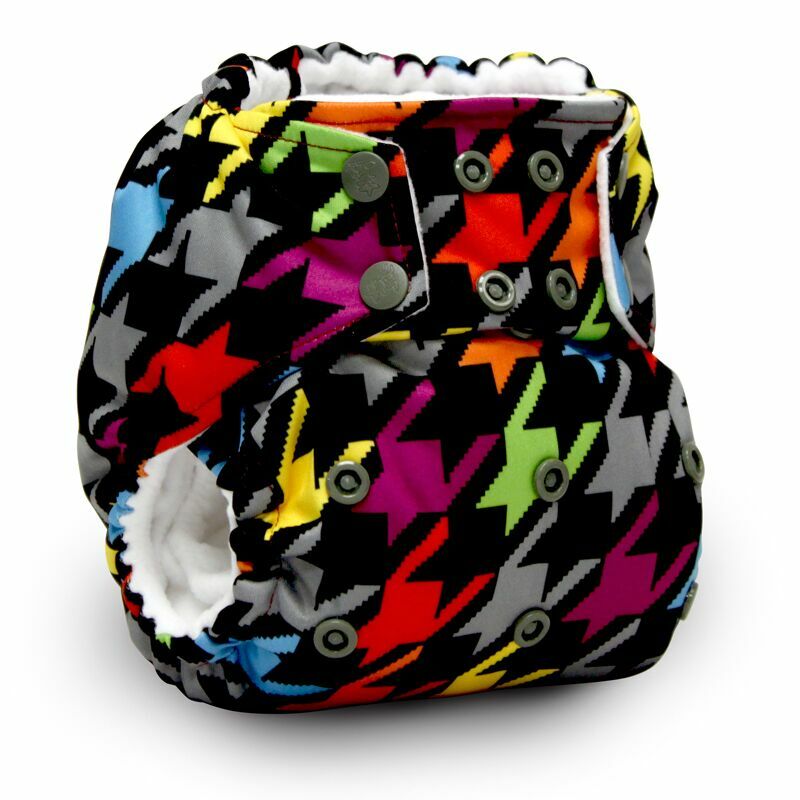 Weight range of cover starts at 6 pounds and will fit up to approximately 35+ pounds. 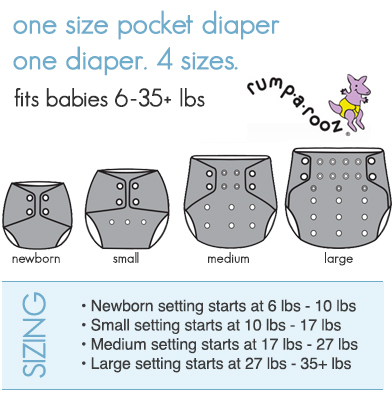 Rumparooz One Size Cloth Diaper Covers are generously sized and designed to fit over most fitted or prefold diaper. Covers may be used multiple times before washing but should be placed into the laundry if it becomes soiled. 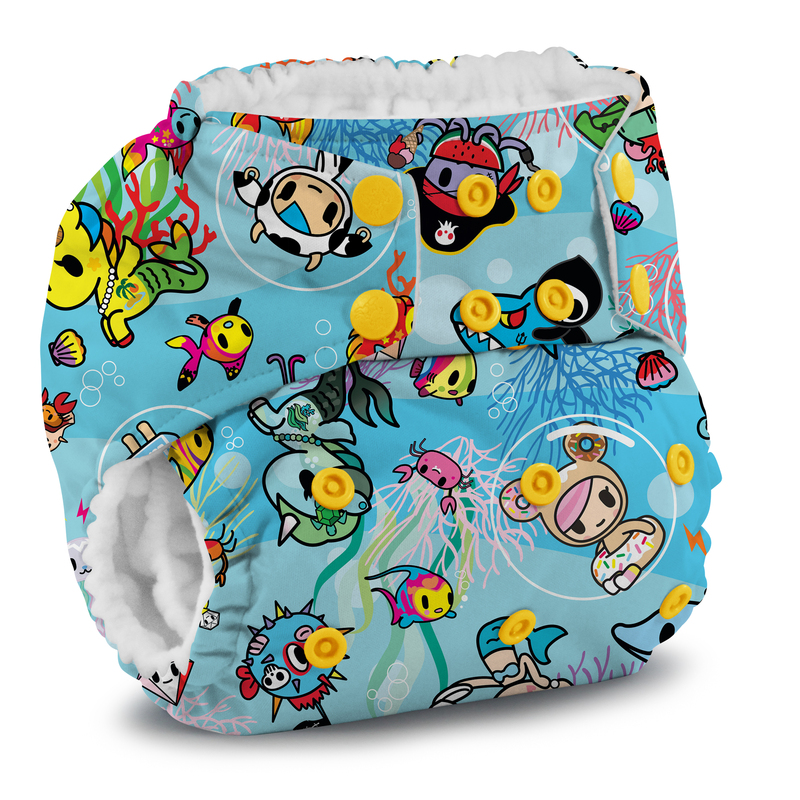 The Rumparooz One Size Diaper Covers have 4 adjustable rise settings that are designed to fit your baby from birth to potty training with 1 cover. Weight range of cover stars at 6 lbs and will fit up to 35+ lbs. For the most part they can just be washed with regular laundry and other clothing. However, one thing to point out is not to use dryer sheets. 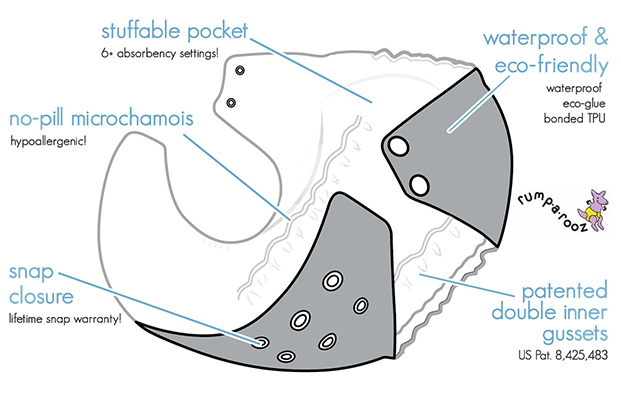 Dryer sheets coat the fabric and create a waxy layer on the inside of the training pants thus making it difficult for them to absorb accidents.